We’re psyched to have our friend Ken Lubin join us this week - he is the consummate badass, dad, friend, husband, and athlete - In addition to being a former collegiate alpine and Nordic skiing national champion, Ken is the Death Race Champion, served on a World Champion Spartan Obstacle Race Team, came in first place in the Tuckerman’s Inferno, and earned a top 3 finish in the World’s Toughest Mudder. To say Ken is an adventure racing athlete is an understatement. Ken, our first partner to join the Milestone Mind Movement, is with Executive Athletes and the Friends of Tuckerman Ravine, organizations that Ken founded and chairs, respectively. He is also the Managing Director of the highly regarded ZRG Partners search firm out of Boston, heading up their private equity practice, and serves on the Mentor Ace Program as a Career Coach for the United States Olympic Committee. Ken has built an incredible personal brand, having close to 30K Linkedin followers, as well as founded 3 LinkedIn groups, all over 10K members each, most notably Executive Athletes which has close to 20K members in of itself. Ken is a super cool guy, who is generous with his thoughts, and has so much to share around the notion of mindset. I think you’re really going to enjoy this week, and be sure to be on the look for future episodes just like this where we partner with amazingly authentic people and organizations who are striving to give their best to the world, every day. What drove Ken to start Executive Athletes borrowing from your personal mission? Sometimes the opportunity is so big, and so many avenues to take to enhance one’s mission – where do people even start? How does Ken gain the conviction to start but then stick with it? Ken got into adventure racing before it was cool – what was the draw at that time? Ken has had really cool athletic accolades, and have been privy to being on teams, and the power of the team. How do we make this happen post sports, and in a general setting, and in a way that is meaningful to people through interactions? Ken has connected with thousands of people – how does human motivation help people’s careers, but also, how does it negatively affect it? When someone makes a career decision, what is it that Ken thinks they are looking for most, and have any cracked the code on having a clear vision for what’s next and having sincere conviction to move towards it? What else should people be thinking about if they think their job is going to be the cause of their happiness, and not necessarily themselves? Our mission statement is simply put as ‘Just Keep Going.’ What does this notion mean to you? What makes Ken come alive? As it matters to mindset, why does Ken think there is such a high turnover rate as well as reduced time at any given company? How does Ken define identity, and have we missed the mark on this notion today by blending it with our professions? Are companies motivating people correctly? 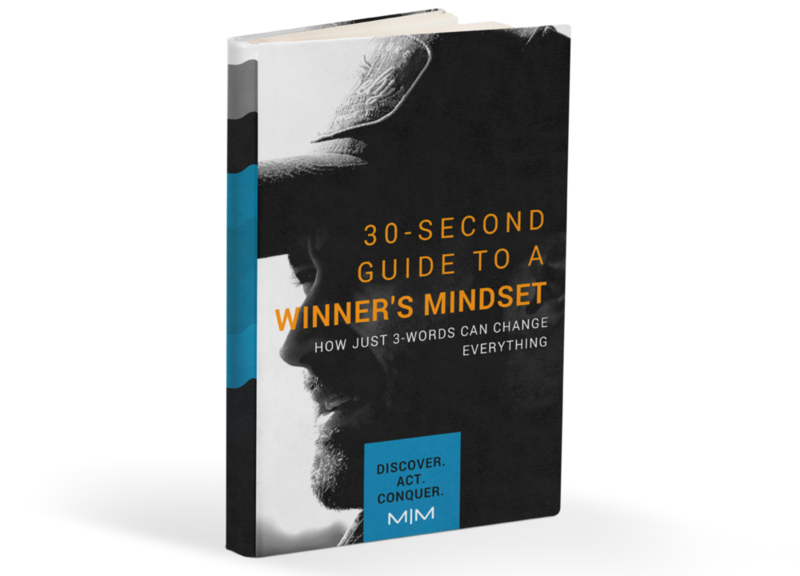 What does Ken think is the biggest piece missing from the mindset conversation, and how might you suggest changing that? If Ken was to sum up mindset in one word, what would it be? "Mindset in one word: Willingness." "I just had to finish, I wanted to finish." "Supposed to see what you can do while you're on this planet." "It's me against me; it's my internal race." "Racing allows me to be a better person when I get back." "Identity isn't your profession; it's who you are as a person." Click HERE now to gain access to the Milestone Mind Institute, while helping support Executive Athletes and Friend's of Tuckerman's Ravine, two meaningful causes, both helping people adventurous and exciting lives. Start your 30-Day Risk-Free Trial for just $37. This week’s episode is brought to you by the Milestone Mind Movement: A partnership between the Milestone Mind Institute, and causes we’ve partnered with that you will decide matters most to you. We are teaming up with exceptional organizations that through purchasing access to the Milestone Mind Institute, 30% of the overall profits will be redirected right back into a cause. You can learn more about the Milestone Mind Movement at http://www.milestonemind.com/movement, where you can discover the different initiatives and purchase access to the Milestone Mind Online Platform while supporting a mission that means the most to you. The Milestone Mind Institute guides you to come alive with the 5-milestone blueprint, the same system that is helping elite performers authentically develop their mindsets, and now with the Milestone Mind Movement, allowing them to also have a direct impact towards a meaningful cause, all of this ultimately helping them create a mindset they can be proud of. If there is a cause or a mission that aligns well with Milestone Mind Movement, and that we should engage a partnership with – we’d love to hear about it. Just send an email to dave@milestonemind.com. Also, be on the look for our Milestone Mind Men’s Trip to Costa Rica in April 2018 – you can learn more at http://www.milestonemind.com/costarica to stay up to date on what we’re putting together there. Here we go - enjoy this week's Episode with Ken Lubin, Spartan Death Race Champion and Founder of Executive Athletes. > > 30% of the milestone mind institute's proceeds will be going to support Executive Athletes and Friends of Tuckerman Ravine. Click image below to begin. HAVE A FOCUSED MINDSET YOU ARE PROUD OF, WHILE ALSO SUPPORTING A MEANINGFUL CAUSE AT THE SAME TIME. SAVE AN ADDITIONAL 10% by apply coupon code JOURNEY at checkout. > > We hope you find the below useful. Learn the secret to creating daily motivation to confidently pursue a life authentic to who you are.